Kissing Crane 2019 USMC Ooh Rah Trapper Pocket Knife - Stainless Steel Blades, Bone And Pakkawood Handle Scales, Nickel Silver Bolsters, Brass Liner | BUDK.com - Knives & Swords At The Lowest Prices! 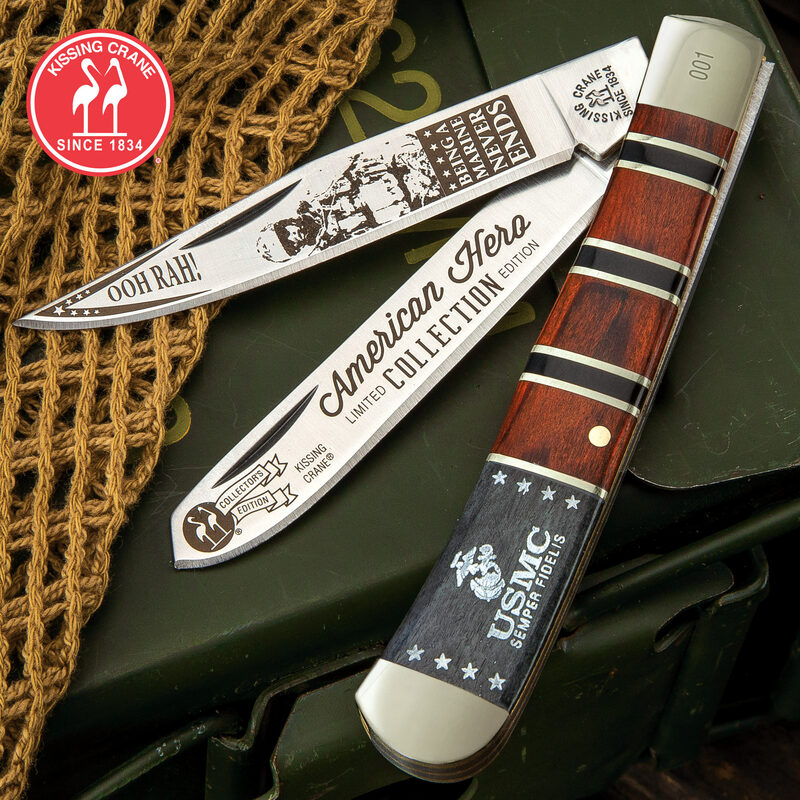 This eye-catching pocket knife, from Kissing Crane’s 2019 American Hero Collection, pays homage to America’s brave Marines with bold handle accents, USMC-themed blade etchings and construction that’s nothing short of “Marine tough.” Both elegant and field-capable, it features razor sharp clip and spey blades crafted from resilient 440 stainless steel. The distinctive handle is comprised of genuine black bone and brown pakkawood, separated by brass spacers. 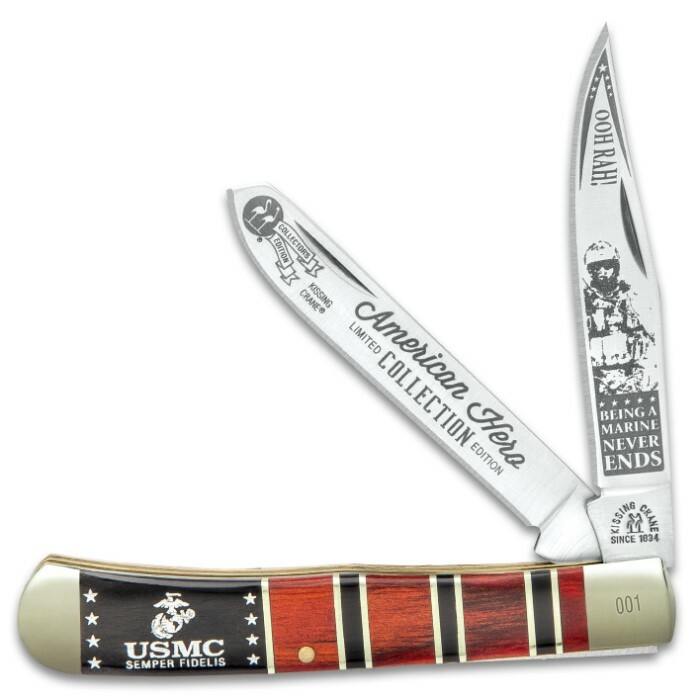 “USMC” is etched into the handle with the iconic US Marine winged anchor insignia. A must-have for any cutlery or military collection. 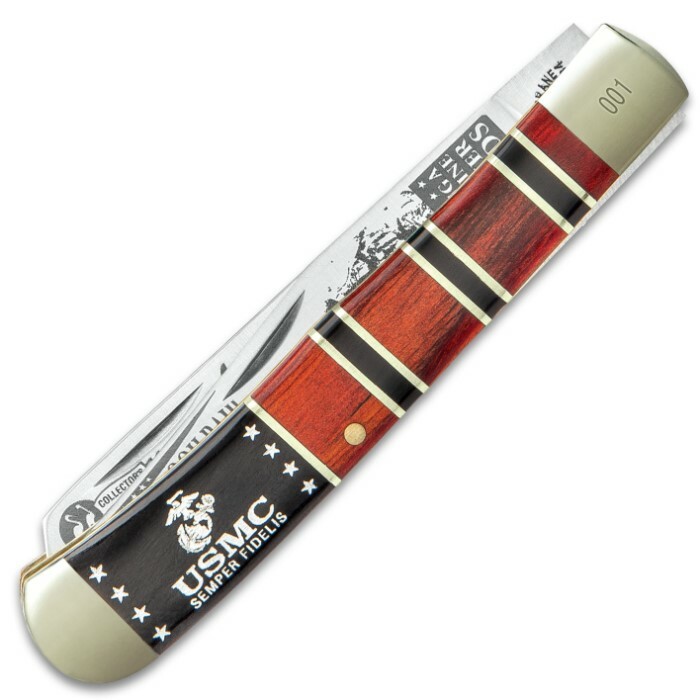 It also makes a fantastic everyday carry and a heartfelt, memorable gift for a Marine in your life.